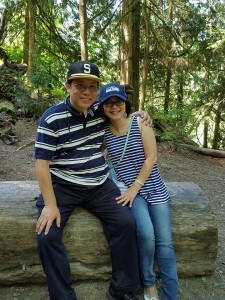 Serendipitously, in 2002, I met a dynamic couple who are trailblazing entrepreneurs in the Indonesian American community, John and Vonny Oei, at their April Financial Inc. office in San Francisco, California during a political campaign’s phone banking activities. It would be three years later that John offered me a marketing position at their ThinkApril.com insurance brokerage and Intero Real Estate San Francisco Sunset office. There were other interesting endeavors that attracted me as I worked side by side with them in the office where Bahasa and English were the languages of choice. 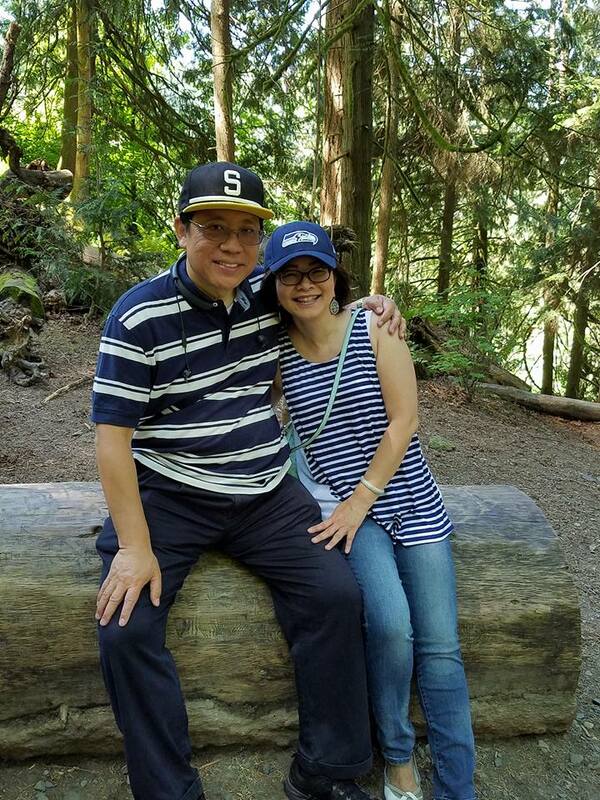 In 1998, John Oei helped organize the Indonesian-Chinese-American Network (ICANet) as a result of the violence that was aimed at Indonesia’s eight million ethnic Chinese. This non-profit organization is dedicated to the advancement of universal human rights for all people, with a focus on Indonesians. ICANet’s strong interest in the development of a bright future for Indonesia a well as the promotion of cultural appreciation and friendship among Indonesians, Chinese, Americans, and other groups in the global community resonated with my personal advocacies. In 2006, I transitioned to a part-time consulting position at their office. When I shared what I was doing at Filipinas Magazine, where I had a business development position, and what most Filipino American media enterprises nationwide were doing to being effective publicists and champions of their communities in mainstream USA, these entrepreneurs took notice. There just wasn’t enough in-language and intercultural information exchanges between Indonesians in the motherland and Indonesian Americans. 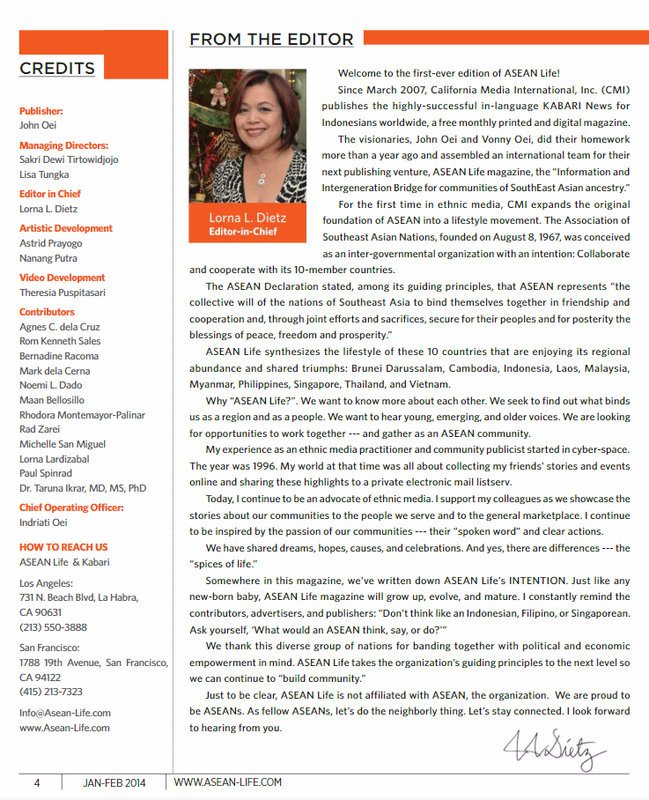 One day, John mentioned to me that they were inspired to create their own in-language Indonesian print and internet-based publication, KabariNews.com, because of their observations about my ethnic media experiences in the Filipino American community. Metaphorically, I was elated that Indonesia, a neighbor of the Philippines, both members of ASEAN (Association of Southeast Asian Nations), would strengthen its media presence in the US. There were very few Bahasa media organizations in the marketplace. Kabari News (i.e. 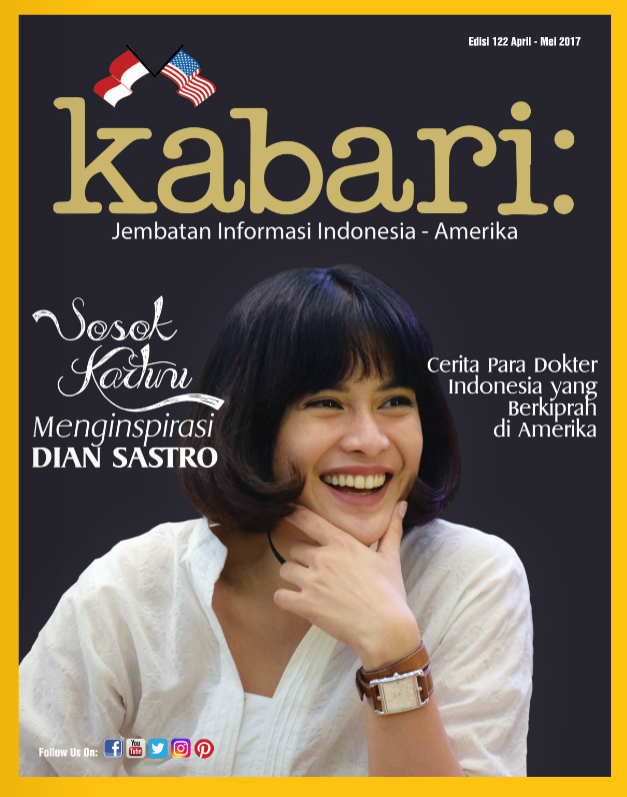 Kabari is Bahasa for “news”) launched its maiden issue in early 2007 to a hungry “Indo” population in California. The magazine was partly responsible for publicizing the popular Indonesian cultural festival, Pasar Senggol, which started as a “block party” in 2004. It is considered as one of the go-to festivals featuring the Indonesian community in the West Coast. In the past 10 years, John and Vonny enthusiastically kept living their publishing life like an experiment. They tracked their “numbers,” organically growing Kabari News’ online presence by producing short video documentaries and interviews while nurturing an untapped worldwide audience that enjoyed their stories, homesick for news from Indonesia. There was no lack of news leads, considering that Indonesia is the fourth largest populated country in the world. The result was Kabari TV on YouTube. Like any other publishing company, the number one challenge was about tapping more advertising and sponsorship support. John and Vonny continued to cross-promote Kabari News as a community-focused news magazine, sometimes creatively packaging its advertising opportunities with other enthusiastic Indonesian-owned businesses’ marketing and public relations programs. In mid-2013, John Oei decided it was time to expand their publishing horizons to include the rest of the ASEAN community. The couple wanted a bi-monthly printed and digital magazine that would draw attention to the lifestyles, triumphs, achievements, and celebrations of these 10 nations in an encapsulated, content curation format. I turned to the Philippines for help in recruiting writing talent. Once the writing assignments were submitted electronically to me, the graphic designers in Indonesia worked on our “Look Book,” laying out the editorial and advertising pages. The first cover and its accompanying story had to be special. We chose to shine the spotlight on the One World Institute, a private foundation headed by Dr. Tom Stern and Yolanda Ortega Stern, Ph.D. The couple’s philanthropic work was mostly done in areas of conflict, from Southern Philippines to Cambodia and Myanmar, where the poorest of the poor were not adequately served. Butch Monserrat was credited for shooting the cover photo of Yolanda Ortega Stern who wore a typical Yakan* attire, accessorized by a kris*. We launched the magazine in newsstands where Kabari News was also welcome. 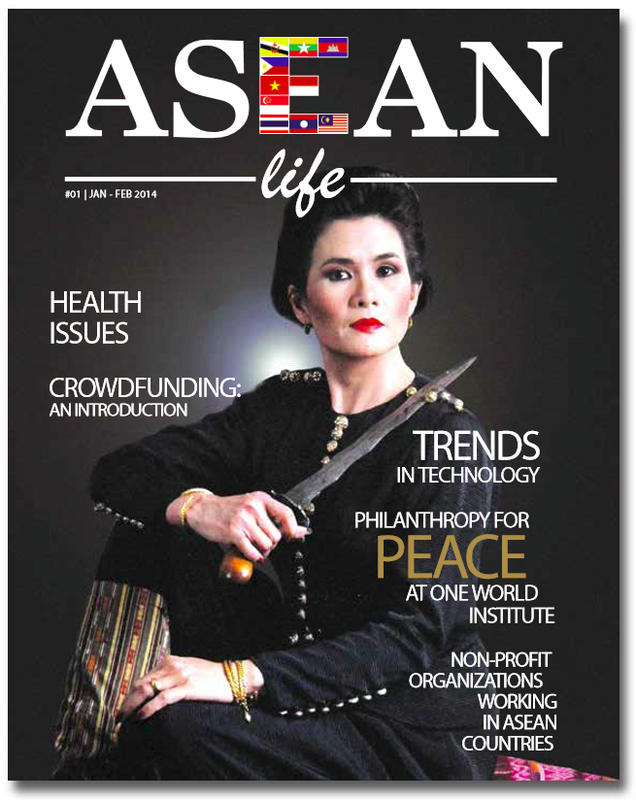 The ASEAN LIFE magazine’s entrepreneurship model was so ambitious that it would eventually find a reincarnation with another business partner. John and Vonny continued the same editorial process. By then, I had moved on to other projects. The lessons I learned about editing a magazine will always stay with me because I succeeded in developing a model operation of collaboration among three countries: US, Philippines, and Indonesia. Today, ASEAN LIFE is waiting for another incarnation. I know that John and Vonny will be willing listeners to a potential business partner’s proposal. Do you think John and Vonny’s “ASEAN LIFE” story is about to evolve — again? You betcha! Vonny is waiting for me to finish editing the marketing copy of their newest business endeavor: a wholesale travel company with a niche market — Japan, South Korea, and Bali (Indonesia) — for outbound land tour operations marketed in the US. Who knows where I will be writing my next ASEAN story? I wrote this story as a contribution to Noemi L. Dado’s blog writing project. I really want ASEAN 2017′s memorabilia! 1. The contest is open to all bloggers worldwide. • What are your life experiences: challenges, great memories? I will even share it on my social networks. 4. Use the hashtag #MyAseanStory #Asean2017 when sharing your post in social media. 5. Contest will start May 9 and end May 31, 2017. Cut off of entries is 11:59 PM on May 31, 2017.